Several reasons justified the choice of the beaver as mascot of the 1976 Olympic Games. Recognized for its patience and hard work, this animal has occupied an important place in the economic development of Canada from the time when the fur trade was the major activity in North America. It has been honored as the national symbol of Canadians and appears on coins and stamps. Closely associated with the history and folklore of Canada, the beaver also appears on the coats-of-arms of both Montréal and Kinston. 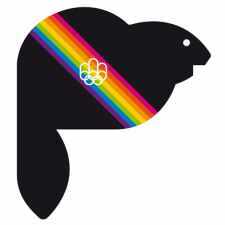 The mascot of the 1976 Games was called "Amik," a word meaning beaver in the Algonquin language, the most widespread among the Amerindians of Canada. 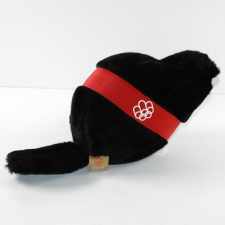 The Mascot bore the emblem of the Montréal Games and a red sash representing the ribbons to which Olympic medals are attached.